Deck the halls with the best pre-event advertising you can find when you print Christmas Ornament Purple Flyers for your end of the year celebration. 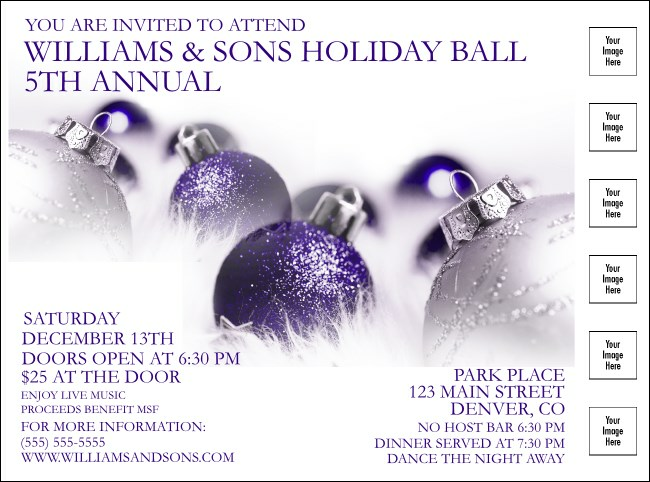 These Flyer templates feature gleaming glass ball Christmas ornaments that sparkle in silver and purple, along with room to upload six of your own images like sponsor logos or pictures of special guests. Decorate the town with great pre-event promotions from TicketPrinting.com.